Persuade the Scottish Government to change legislation to make it mandatory for Early Learning and Childcare (ELC) Providers to have a member of staff on duty with a 12-hour Paediatric First Aid qualification, when children are present, or on visits. 25% of all nurseries and childcare providers in Scotland have no first aid trained to deal with child first aid incidents. 10% of all nurseries and childcare providers in Scotland have no first aid trained to deal with first aid at all. Of the nurseries and childcare providers who do have staff with some child first aid training, 78% are not trained to the standard recommended by the HSE. These figures come from the Care Inspectorate, which is the Scottish Government’s regulatory body for child protection and the integration of children’s services. In England 100% of Early Learning and Childcare Providers (ELC Providers) have a members of staff on duty with a full Paediatric First Aid qualification. In Scotland it is 18%. We are asking Maree Todd MSP, Minister for Childcare and Early Years, to guarantee all Early Learning and Childcare (ELC) Providers have at least one member of staff on duty with a Paediatric First Aid certificate when children are in nursery, at play group or on school trips. Not all nurseries or childcare providers in Scotland have trained staff in paediatric first aid on site to deal with immediate life threatening first aid emergencies like chocking or asthma attacks. Infants and children, who need simple first aid treatment, before an ambulance arrives, are being put at risk everyday. In England and Wales all childcare settings should have at least 1 member of staff with a 12 hour Paediatric First Aid qualification. This became law in September 2014. The tragic Millie Thompson case in 2012 brought into sharp focus the fact that paediatric first aid training can mean the difference between the life and death of a child. Since 2016 we have been asking the Scottish government why this law cant be applied to all Early Learning and Childcare (ELC) Providers in Scotland, to bring us in line with England and Wales. We have discussed the issue with the previous and current Scottish Minister for Childcare and Early Years, and had prolonged discussions with the Care Inspectorate (the government body responsible for investigating childcare providers). So far, we have been unsuccessful in moving this issue forwards. In late 2016 we contacted all 32 Local Authorities in Scotland with a Freedom of Information request to ask how many of their registered childcare providers had staff with Paediatric First Aid qualifications. Their replies were shocking. Of those that did require Paediatric First Aid training, the level of qualification varied widely from 3 – 9 hours. There was no consistency of course length, or course content across the Local Authorities. These figures were then updated in 2018 with the statistics at the top of this page, which are truly shocking. Why a 12-hour Paediatric First Aid course? Not everyone realises that first aid for infants and young children is quite different to that of adults. 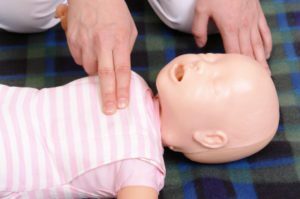 This 12 hour (2 Day) course is seen as the ‘standard’ first aid course for childcare across the rest of the UK, but not in Scotland. The training includes time to cover infant and child specific issues around CPR, asthma, febrile convulsions, recognition of meningitis and more. None of these are included on a standard 6 Hour Emergency First Aid at Work course. If the law were changed, to create parity between England, Wales and Scotland then this situation would be resolved instantly. The Scottish government is working towards doubling the amount of free childcare hours for parents of young children in Scotland. More children will be put at risk for longer, unless this change is made. Now is the perfect time for Maree Todd, Minister for Childcare and Early Years, to change the law. 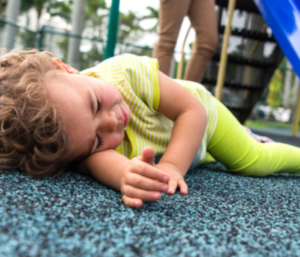 As other childcare legislative changes are enacted it is the perfect time to change the law to ensure that Early Learning and Childcare (ELC) Providers have Paediatric First Aid trained staff on duty when children are present, or on visits. Why should we have to wait for another young child to die in a nursery before the government acts? People say, "you will never persuade the powers that be to change their minds". Well, there are some similar cases giving a precedent to this situation, regarding first aid training. In 2014 the English government issued new guidance on the use of asthma inhalers and adrenaline auto injector pens (EpiPens) so that schools and nurseries could hold a spare inhaler / auto injector incase a child lost of forget their own. It took till late 2017 for the Scottish government to follow suite and issue similar guidance, making schools and nurseries safer places for our children to be. The issue of Paediatric First Aid training for childcare and early learning providers is similar. The law changed in England back in 2014 so sometimes it does take a while for our government to catch up!